What Would Mike Do? : The hotel blog: What is a smart answer to "Why should I choose you over the other candidates"? What is a smart answer to "Why should I choose you over the other candidates"? The answer I want to that one shouldn’t be all that difficult: just a straight answer to a simple question. That’s all anyone’s asking. It can only be difficult for you if you’re trying to game the interview or manipulate my decision-making process in your favor – and if I pick up on it that that’s what you’re hoping to do, the interview is going to end a little earlier than you planned. So, any other answer isn’t very ‘smart’. It’s an essay question on our eight-page application form. We never have any job ‘openings’ or ‘vacancies’, and we discourage use of the terms. (Whatever needs doing, someone is going to do it, leaving no voids. We may add people from time to time . . .) We do not use an organizational chart with little boxes into which we fit people: our company is not organized, and we refuse to organize it, that way. The job for which you are applying doesn’t exist, and will not exist unless, and until, we hire you. Add to the list of qualifications a stipulation that you have to be eighteen or older so we can leave you alone with it at night, and you still have millions of people qualified for the job. Why should I pick you out of the bunch? Conventional wisdom says, seek commodotized help. You can pay them less, because supply and demand does its power and magic. If you dumb down the job requirements so that a trained monkey or service animal can do it, commodotized help is just as easy to train, some say easier. They’re more controllable. And they’re easier to replace if they leave, or if you want to get rid of one. We do just the opposite. Our guests deserve better. We want people who can handle any need, or solve any problem, that you bring to the desk; and have any decision they make be correct, or at least respectable; not some half-wit who can do no more than quote company policy to you, and can’t even scratch his nose without calling someone first (who may or may not even be at the hotel, or pick up the phone if called) to request approval, and say which finger he wants to use to scratch the itch, and explain and justify the need. We avoid making ourselves sitting ducks for a whole lot of regulatory grief and aggravation. When so many people are so obviously qualified for the job, it doesn’t take much of a leap for any one of them to feel that they’re entitled to it — and that we wronged them in some way, perhaps even illegally, if we pass them by and hire someone else. That’s why we avoid and discourage use of the terms ‘openings’ or ‘vacancies’: it suggests the here-and-now existence of something that people think is a plum to be competed for and picked, even though it is yet to be created . . . Our people have accountabilities, and maybe accountabilities within accountabilities: we don’t make or use or go by ‘organizational charts’, and we refuse to make or to use or to go by one. That little box on the chart which you’re hoping to get for yourself, and for which you think you’re ‘qualified’, and to which you might feel ‘entitled’, does not exist, and may never. We also don’t have, and refuse to write, ‘job descriptions’. If you come to work with us, you’re going to do as your told — the same as you’d do if you worked anywhere else, with or without a job description. Someone who works for us can describe what (s)he does if (s)he wants, or we can describe it, but that’s not what’s going to officially define your accountability now and forever, always and everywhere. You want to claim that you’re ‘qualified’, or better ‘qualified’ than the person we actually hired, and that (legally or otherwise) you should have been hired instead? Prove it. And how do you plan to prove it? By means of your ‘qualifications’, provided you get to do the qualifying? Against a non-existent ‘job description’? Against some description of the job as you yourself describe it, when we’re the ones doing the hiring in response to our needs? And most importantly (geez, who the heck invented “human resources”, anyway and what were they thinking??!! . . .), we get better people that way. At every level, not just low-paid or entry-level hourly help. One thing I look for in anyone I hire, is a value-add. If you show up wanting to be a desk clerk, how can we turn that . . .
into a unique accountability that only YOU are qualified for — and that you could not be easily replaced in if you were to ever leave? I want to see what you can bring to the party that the next warm body that comes through the door looking for a job probably cannot. It’s a requirement. If I can’t use you for something else of present or potential value to us besides what we hired you to do, I can’t use you. 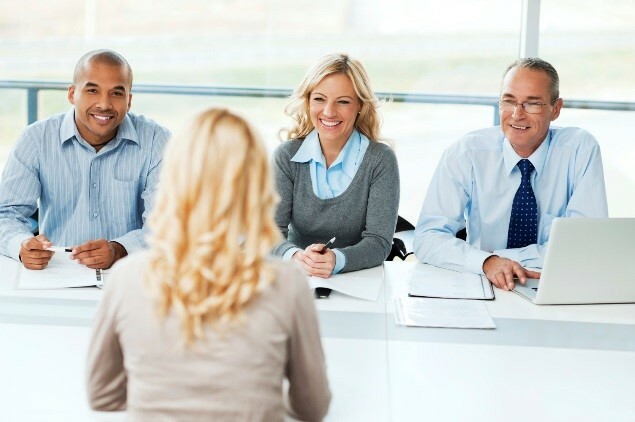 When someone else does the interviewing, I have them find out what is this person’s value-add, and write it down, then check behind them and validate it to be sure that the applicant (always an ‘applicant’ — an applicant is never a ‘candidate’ until (s)he’s screened, and checked out so thoroughly that we’re okay with it if (s)he’s the only person we could get . . .) can deliver the goods. It’s completely non-discriminatory. You might find someone working with us who was in place prior to our takeover of a property (and we look for it in those people, although we may let it slide if they’re already performing well in their present accountability: it’s a little awkward to question someone’s ‘qualifications’ to do a job (s)he’s been doing already for several years), but every subsequent hire’s personnel jacket — and anyone’s advancement into salaried accountabilities from hourly help, unless they were already doing the job anyway — shows that they, too, had to meet that requirement. That’s how I get desk clerks who are (for a time, underpaid) sales directors, many of whom do it quite successfully. Night audit is for us — in yet another switch from how lesser hotel companies do it — the entry-level management accountability. In a smaller property, the night auditor is the assistant general manager and vice versa, whenever I can swing it. Anytime I’m looking to hire a night auditor, I want to see a future hotel manager. Regardless, it’s how I get night auditors who can do web development, who can configure and service and maintain computer hardware, or who have paralegal training and can draft simple contracts and legal documents. It’s how I can get breakfast hostesses who are certified emergency medical technicians. It’s how I can get room attendants who, in addition to dusting and vacuuming and swabbing the toilets and making the beds, can change power receptacles and even repair the phone system. It’s how I get maintenance workers who can re-stock the vending machines at several hotels and be trusted to maintain the inventory, turn in the receipts, and reorder stock so that there’s always a Diet Coke in the machine when you want one, and the two bottles of Le Bleu is always in the refrigerator in your room when you check in and look for them — and not wreck the van while out on the road doing it. Like always asking the question, “What is your biggest weakness?”, it’s another interviewing, screening, and selection tool I ripped off from the late plankowner commander of the Army’s Delta Force, rest his soul, Col. Charlie Beckwith. (W)e ask about skills. Could they repair an elevator, read a blueprint, rewire a house, survey a city block, memorize the contents of a museum? . . . (A) lot of people could run up and down mountains and hit (rendezvous) points, but that isn’t what made them unique. We’d call his reference and find out if he was telling the truth . . . What we were looking for was flair. If the taxpayer’s money was to be spent sending some individual to school, he had to have an aptitude for that training . . .
Delta Force required guys who could read a map and run cross-country to an assigned spot on it, within a certain time, without getting lost, or fire an assault weapon and take out bad guys without hitting each other, and do other usual-usual Special Forces operator things; but they also anticipated that they might at some point need, or could use, at least one of those same guys to be able to drive a truck, handle military working dogs, pick locks, fix an elevator, or survey a city block. We might be hiring hotel clerks, hostesses, housekeepers, maintenance guys, or managers, people you’re used to seeing all the time and taking for granted in any hotel . . . but we may at some point need someone in the place who knows how to administer first aid, safely control a big mean dog, deal with someone famous who had unique privacy and security needs, or may be going through a crisis in his or her life, change a flat tire on a shuttle van on the shoulder of the freeway, change a circuit breaker and get the lights back on in a meeting room full of people in the middle of an event, evacuate a hotel that is losing its roof in a hurricane and get all the guests into a safe space and keep them orderly and calm, get an individual who had attempted suicide in one of our rooms out of the building and into an ambulance without drawing too much attention, catch a bird that had flown in through the automatic front door and was flying around the lobby and up and down the first floor corridor and get it outside, or deal with a mentally disturbed person who showed up at the front desk at two a.m. to complain that there were alligators in his room and asked to borrow an axe. I am not making this up. Every one of those needs has come up at one time or another in a hotel where I have worked. I have passed on a candidate with very attractive value-adds, in favor of one with a skill I knew I was going to need very soon. I can’t afford to hire everyone, and it’s nothing against the one I had to pass over. It’s always a question of our needs, no matter how the applicant may feel that (s)he needs the job, or how convinced (s)he is that (s)he is the best one for it . . .
Employment interviews - and trying to stay ahead of those who read the books on how to game them . . . Copyright © 2011-2017, Beechmont Hotels Corporation LLC. Simple theme. Powered by Blogger.